We implement the EYLF in both playgroup and preschool with a 2016 focus of including the DECD literacy and numeracy indicators for the preschoolers. 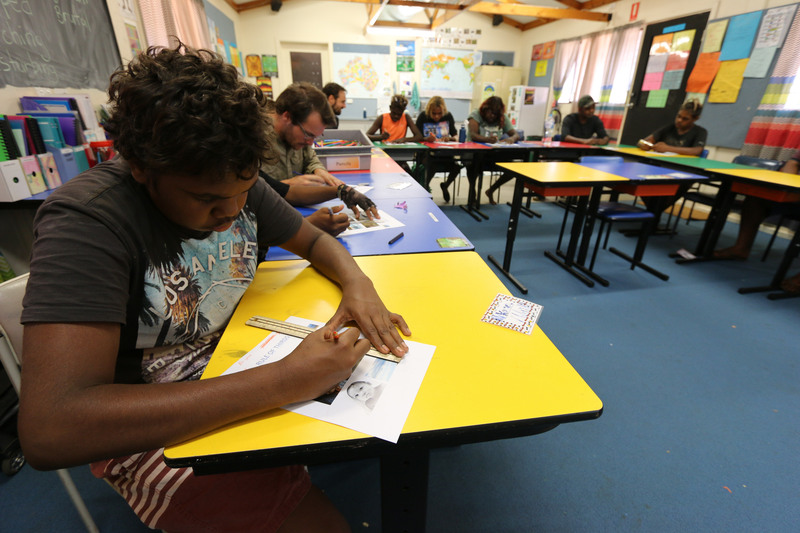 The Anangu Lands Partnership has commenced the facilitation of the Families as First Teachers program in playgroups. At Mimili our approach to Australian Curriculum delivery is being continuously developed and improved. It is in response to the Lands context particularly mobility of students and considerations of the complex needs of our students. The goal is that our students are successful learners, confident and creative individuals and active and informed citizens. Site based development to implement aspects of Learning Areas such as HPE (e.g. through CAFHS Nurse programs e.g. trachoma, diabetes, Fun Run, marathon preparation, sport clinic visits) The Arts (through music specialist visits e.g. drumming and e.g. media through Ninti Media projects) which connect to the units. There is a shared and targeted focus on coherent secondary pathways including FLO, Wiltja, TTC, SACE and VET. Students regularly attend the Trade Train Centre (TTC) to achieve SACE credits and VET certificates as well as working in class to achieve Stage 1 and 2 SACE.